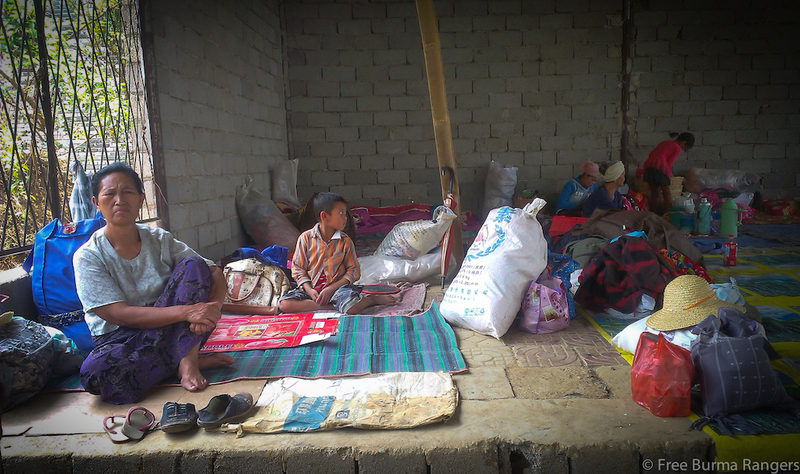 3,600 Internally Displaced Persons (IDPs) have now fled due to fighting in southern Kachin State and northern Shan State. During the afternoon of 10 April 2014, two Burma Army soldiers from Light Infantry Battalion (LIB) 320 raped a 17-year-old girl named Mangje Bawk San Pa. She was raped in the fields behind Nhkum Zau Tawng Village. She is from Dawphum-Kagam Village, and the daughter of Mr. Mangje La Nu and Mrs. Marip Ma Mawm. At 16:45 on 11 April 2014, two men from Maw Swi Awng Lawt village were shot by Burma Army soldiers from Infantry Battalion Unit (IB) 69 as they were entering their village. Mr. Marip Ma Mai, a 30-year-old man, and Dashi Lagan, a 58-year-old man, were the two victims. They were seriously injured, and taken to Namhkam hospital for treatment. In addition to Burma Army’s 10 April 2014 military action against the KIA (Kachin Independence Organization) and Kachin civilians, the Burma Army and the KIA have been clashing throughout the first half of April. On 2 April, KIA and Burma Army (BA) troops clashed at three locations: KIA 9th, 36th, 38th Battalion areas in 4th Brigade, Kachin State. KIA troops stationed at Nam La Haw fought against BA Light Infantry Battalion (LIB) 568 when the latter’s soldiers entered and attacked Bang Ya Yung, located in Northern Shan State. In addition to that fight, at 13:00, KIA troops defended their post against advances from Burma Army soldiers from (Infantry Battalion) IB 123, as well as another unit; ultimately KIA soldiers from 38th battalion had to decamp from its post near Pang Hkawn due to a heavy artillery barrage. On 3 April 2014 at 17:10, the KIA and Burma Army LIB 568 clashed while en route in KIA 36th Battalion territory in 4th Brigade. That same day, over 1000 Burma Army soldiers from Division 88 arrived in 52 trucks from Mu Se. On 4 April 2014 KIA soldiers and Burma Army IB 95 troops exchanged fire at Taw Gut Na Hka in Mung Lung town in the 34th Battalion region of the KIA’s 4th Brigade area. From 06:30 to 7:00 on 5 April 2014, fighting erupted between the KIA and BA troops from IB 95. Fighting took place between Ban Dawng and Man Hai towns in 4th Brigade area. 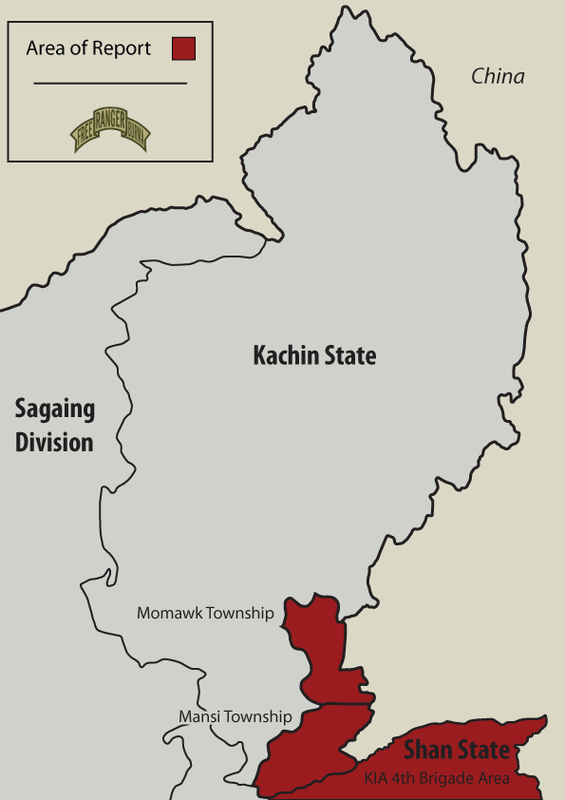 The Burma Army has been launching attacks in Kachin State by dividing into four different groups. On 10 April 2014, KIA troops fought Burma Army soldiers when they advanced from the Lagat Hkyet sugarcane field between Nam Hka and Lagat Yang’s IDP camp. Two hours prior to the fighting breaking out, all the residents of the IDP camp in the area fled to Man Wing village, while KIA troops remained to defend the area. Burma Army troops fired 60 mm mortars over 20 times at Lagat Yang IDP Camp and Nalung village – which are in close proximity to the camp. All Burma Army infantry and light infantry battalions actively engaged in Mansi and Ulang Pa Townships after 10 April 2014 are under Military Operations Command (MOC) 16 of Tatmadaw Division 88 Command. At 07:00 on 11 April 2014, fighting between the KIA and Burma grew closer to Man Wing. As gunfire grew closer to Man Wing, IDPs fled from their refuge in Man Wing across the border to China. The Burma Army took offensive action across the China border, firing small arms and dropping artillery shells across the Chinese border. 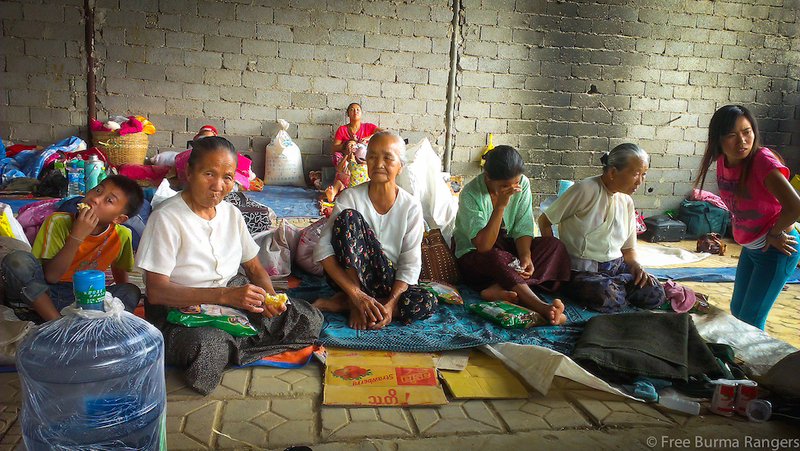 An elderly Shan woman and an eight-year-old boy were hit during the attack, sustaining wounds to their hands. They were sent to the hospital by Chinese soldiers. Initially, Chinese border troops refused entry to fleeing Kachin and Shan IDPs, but later border guards permitted entry to those fleeing the heavy fire in the area. At 08:00, KIA 12th Battalion troops arriving from Ulang Pa as reinforcements and Burma Army troops from IB 69 and LIB 323 and 567 fought at Maw Swi Awng Lawt Village. Additionally, from 06:00 to 19:00 on the same day, heavy fighting took place between KIA 27th Battalion troops and Burma Army troops from IB 130 and 240, and LIB 103, 522 at four villages: Loi Hu Si Bum, Nawng Chyawn, Sun Hka and Nam Hi. Burma Army LIB 320 troops fortified Shan Tun Bum, setting up 120 mm mortars in KIA 25th Battalion area. On 12 April 2014, Burma Army troops from IB 69 and LIB 522 positioned themselves at Maw Swi, Nam Hka, and Gawk Ngu Villages. An additional 400 Burma Army soldiers from unknown units have been positioning themselves at Pang Hkawm Village, operating by dividing their troops among stations at Nawng Hka Jai, Shingiai upper Supra, Manjak, and Namsu Villages – all are located in KIA 4th Brigade territory in northern Shan State. Fighting continues on a daily basis in 3rd and 4th Brigades of Kachin State and northern Shan State. 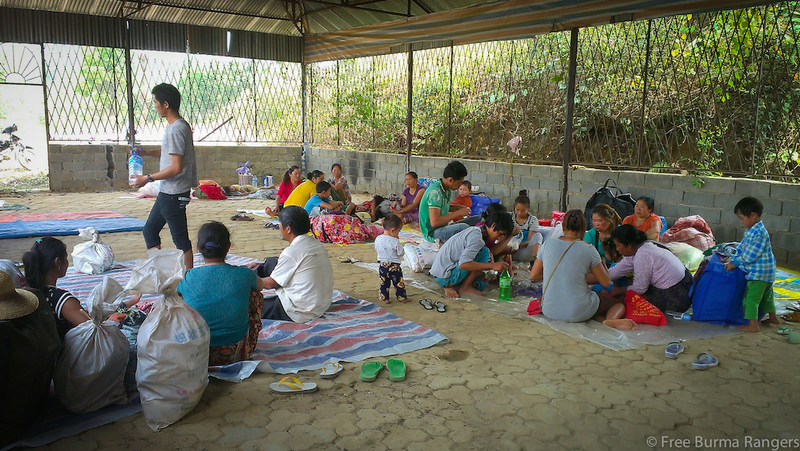 Free Burma Rangers, as well as other local organizations like Kachin Light (WPN) are working to provide assistance to and information about IDPs in this area.